Harry E. Sanders, Republican candidate for commissioner for his second term has made abundantly good in the comparative short time he has been on the board and has won the right to another term by good and faithful service. Those who boosted him into leading the county ticket two years ago have not been disappointed and he will be again among the top-notchers at the coming election. Harry Sanders is a typical Indiana business man, farmer, stockraiser and dairyman. 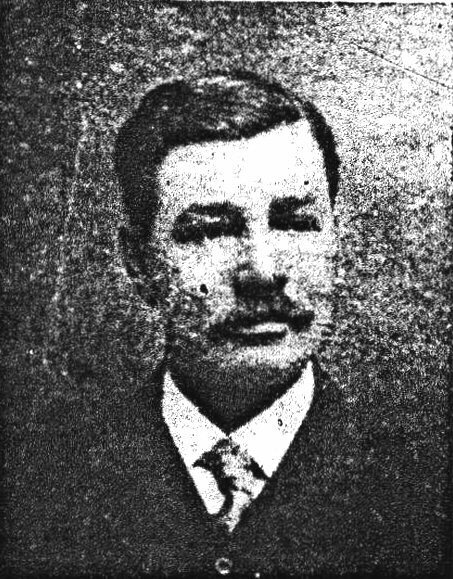 He was born in Washington township Oct. 10, 1870 and received his education in the Washington township schools, Central Academy at Plainfield and the Indianapolis Business College. Mr. Sanders served several years on the advisory board of Guilford township before being promoted to the more responsible position of county commissioner. He has been very successful as a farmer, having accumulated a very fine farm of 280 acres in Washington and Guilford townships. The two years that he has been in the commissioners' office have proved his fitness to fill the office with credit to himself, his friends and his party. The fact that he was nominated without opposition shows that his administration of the office has not only been efficient in every particular but has been one of rigid economy and close attention to duty.